You're on the right page if you wan to obtain AAUA predegree form, know about their courses, closing date and more. This is to inform the general public, parents, sponsors and eligible candidates that Adekunle Ajasin University, Akungba Akoko Ondo State 9-month preliminary programme (pre-degree) form is now out. It’s on sales through Remita payment platform and registration can be done on the school’s remedial portal. All interested and prospective applicants should take note of the following before proceeding to apply. Applicants must possess at least 5 credit passes in O’level results. Such credits must be from the related subjects to their proposed courses including English and mathematics. Check the SSCE results requirements for AAUA courses. Applicants with awaiting results should also apply provided such SSCE results will be made available before the completion of the programme or before/by the time 100 level admission starts. Applicants should note that this PD course only prepares them for 100 level admissions. Hence, they must pass the final pre-degree exams and JAMB UTME (with at least 180) before they can be considered for admission into their proposed courses. The pre-degree course is conducted and run on the school campus. All pre-degree candidates must equally take part in the school’s post UTME schedule to hold when 100 level admission starts. 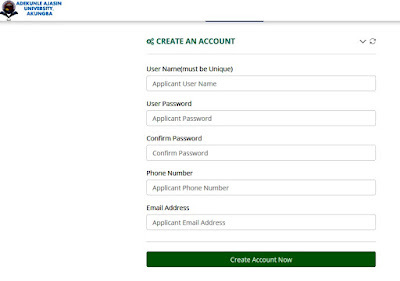 Below is the step by step guideline to make payment for the form and apply. 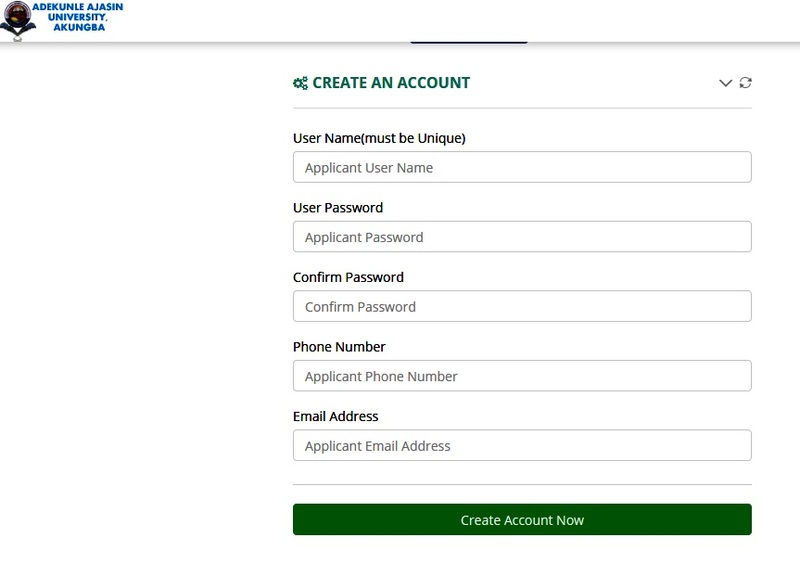 Fill the basic form by creating a unique username, password and phone number. Make sure you use a working phone number and email address. After that, generate RRR on the next page. You will need a PDF reader or Adobe reader to download and print the Remita invoice. Take this invoice to any of the banks listed below for payment of ten thousand naira (N10,000). This price is shown on your invoice already. A complete form should be opened for you to fill. Complete the form and submit. You will need all your bio-data, passport photo with a red background, SSCE result (if available) while filling the form. Print your completed form/confirmation slip and keep it safe for reference. The school will contact you through SMS and email for the information.